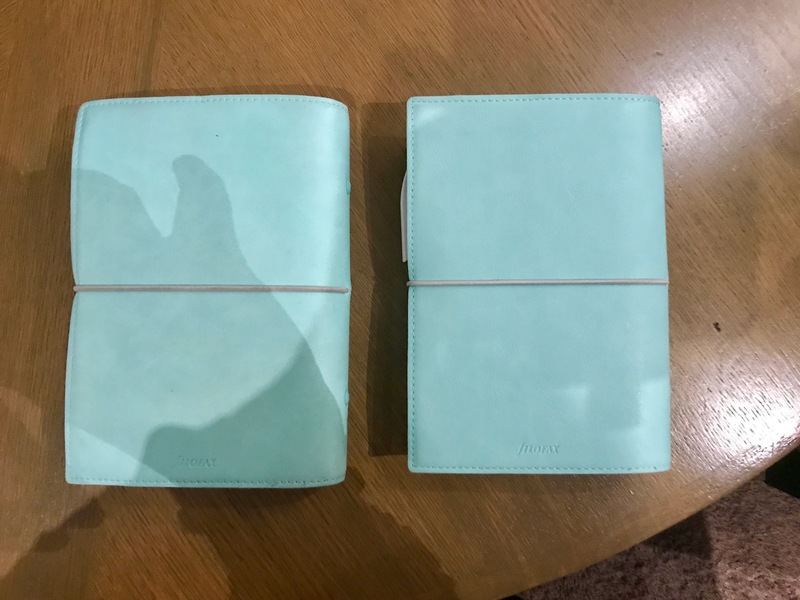 I wrote last week about my new Filofax Soft Domino in Duck Egg Mint. 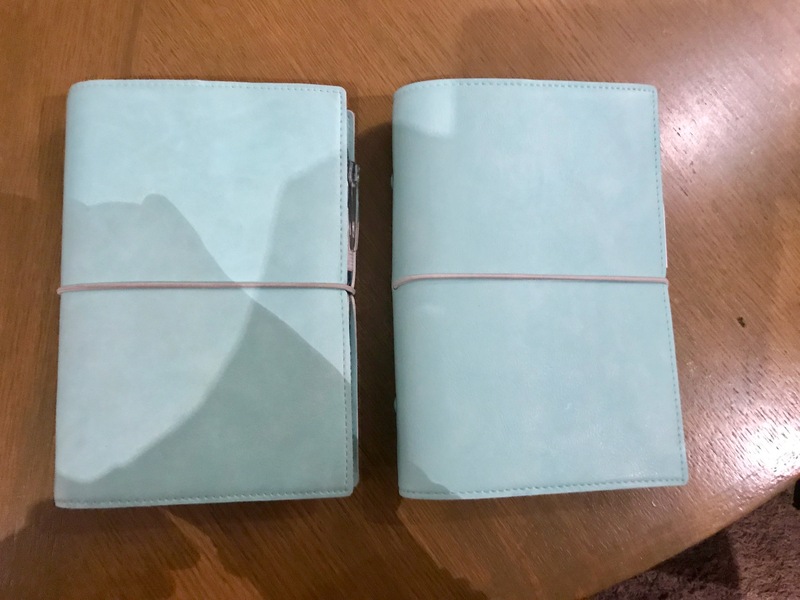 These binders are not leather and are very floppy and a pale colour. Easily damaged and marked, you think? Apparently not! Look at this 1-year old heavily-used one (used daily, in and out of a backpack) on the left next to my brand new one on the right. The only difference is that with the older one, the elastic is slightly darker and the corners hug the contents. Sorry about the bad light and strange angles. These photographs were taken in a rather dark conference room with my phone. They are gorgeous! I am very tempted by this color and its soft texture. I held out for about a year but in the end I just had to get one. I am so glad. It is such a simple, easy binder and it feels so nice. I was actually flabbergasted to see how well this model ages. Usually pale, faux leather items get shabby very quickly.